Learn chainmaille basics and how to incorporate glass rings and glass beads into chainmaille designs in this earrings workshop. Students will create three very different pairs of earrings using shiny and colorful glass rings and beads. 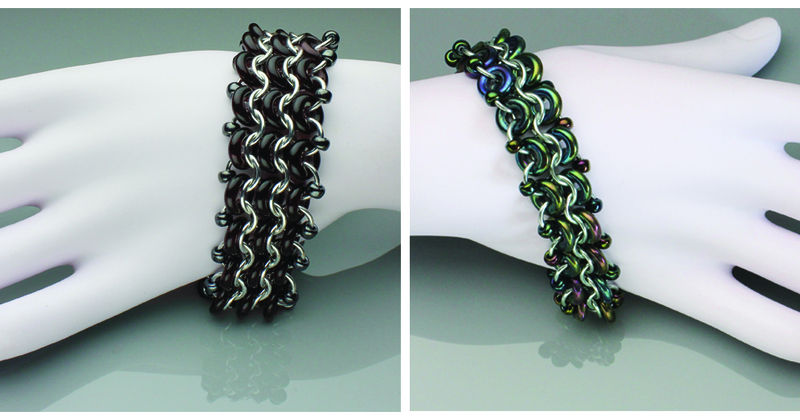 the European 4-in-1 weave while playing with shiny glass rings and beads. beads. Students will love it's lightweight and durable feel. 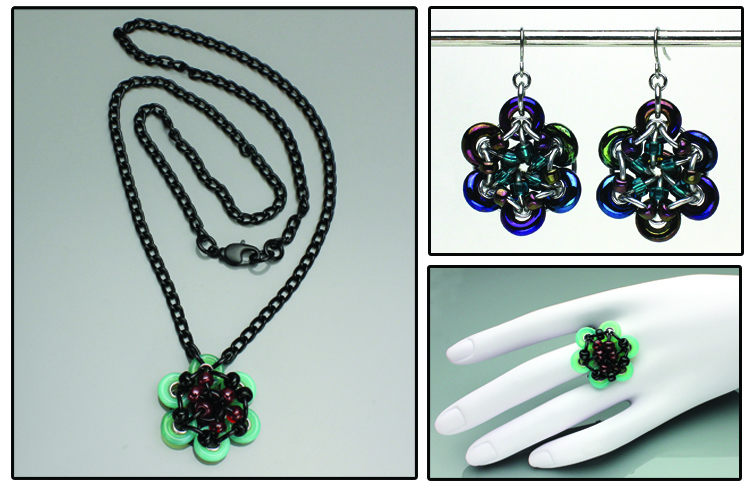 Exquisite glass florets, bursting with color to adorn your necklace, finger and ears. 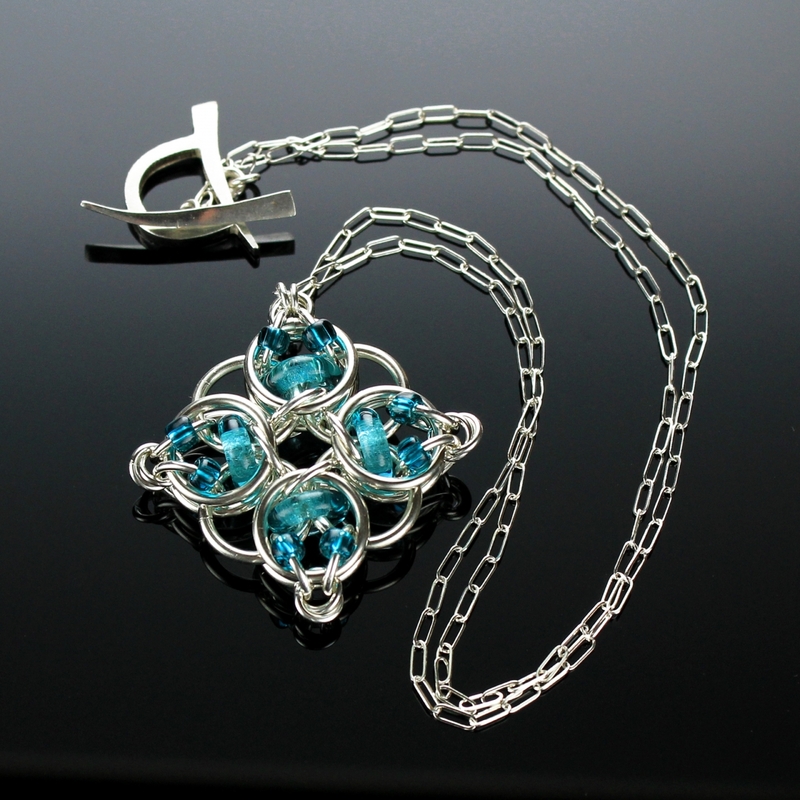 Using the Japanese family style of weaving, learn how to incorporate glass rings and beads in to your chainmaille designs by creating medium-sized compact flowers.